Japanese whisky is not only Suntory or Nikka, there are many other less known distilleries whose reputation continues to grow. 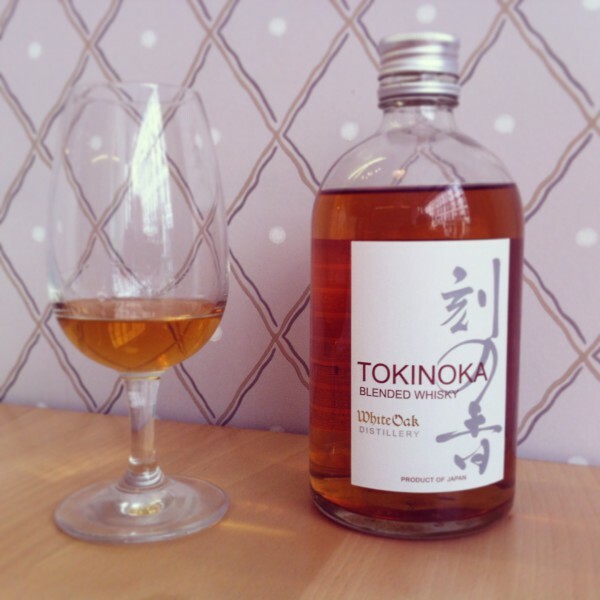 And for this new tasting, we chose a blended malt (a blend of several single malt), the White Oak Tokinoka blended malt. Now let's start the tasting ! The nose is very fruity with apricots and dried fruits and a shy note of honey. For an entry-level whisky I'm seduced by its slightly oily texture which gives it body and overcomes its lack of complexity. On the palate flavors of dried fruit and apricot are still present and confirm the nose. Thanks to its low alcoholic level of 40%, it can be very nice for people who don't usually enjoy whisky. A short and smooth final with the honey notes back again. The Tokinoka is very good whisky for beginners, or even for cooking. I still regret the linearity of this whisky made with Akashi single malt for basic ingredients that should offer more complexity in flavors. Nevertheless, it's an ideal gift to discover japanese whisky without breaking the bank.